Since the dawn of man, for thousands upon thousands of years, there has been slavery. Today slavery is illegal in every nation on earth. This doesn’t mean there is no more slavery, but it does mean that mankind now recognizes that slavery is evil. It is likely very difficult for the average Christian in America to imagine slavery as a good, necessary, and God-instituted practice. But this is precisely how Christians have viewed slavery for thousands of years. And with good reason— slavery is Biblical. Since the time of Abraham the use of slavery has been something that God has never disapproved of. Abraham, the “father of faith,” and all the patriarchs held slaves without God’s disapproval (Genesis 21:9-10). The Ten Commandments mentions slaves twice, showing God’s implicit acceptance of it (Exodus 20:10, 17). Slaves were allowed to be taken after going to war (Deuteronomy 20:10-14). God even instructs Moses that his people may own child slaves permanently and that they may be passed down as a family inheritance (Leviticus 25:44-46). Apparently, according to God, it is okay to buy and sell children. Slavery is all over the Old Testament and God never disapproves of it. When a slave owner strikes a male or female slave with a rod and the slave dies immediately, the owner shall be punished. But if the slave survives a day or two, there is no punishment; for the slave is the owner’s property. According to Moses, you can beat your slaves all you want, even within an inch of their life, because slaves are your property. Of course, even if you kill your slave, you won’t be put to death yourself, but only punished. Modern readers may wish that the New Testament overturns this, but that doesn’t seem to be the case (Titus 2:9). If Jesus or Paul had wanted to outlaw the institution of slavery, they would’ve done so. Instead, Jesus and Paul never directly rebukes slavery. Paul tells slaves to “obey your earthly masters with fear and trembling” (Ephesians 6:5). Slaves are also told to do everything their masters tell them to do and if your master beats you harshly, you should just accept it. After all, fear of your master is a good thing (1 Peter 2:18, Colossians 3:22-24, 1 Timothy 6:1). 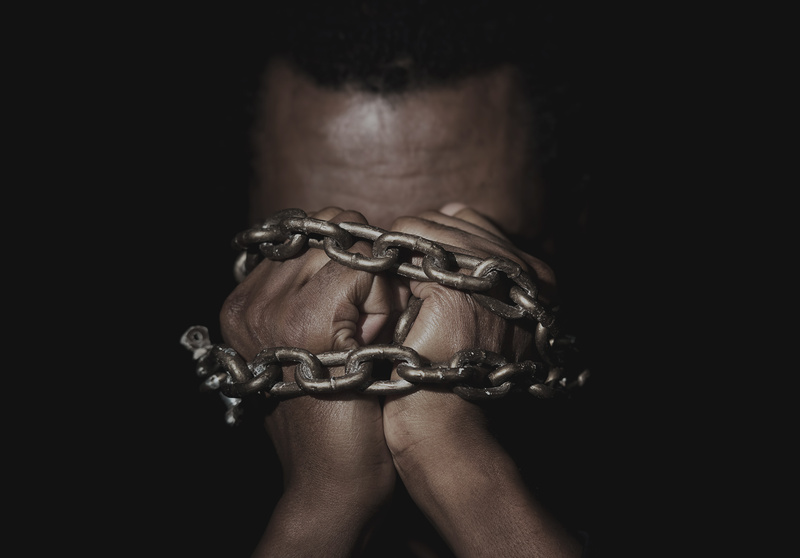 If in the Old Testament, saints owned slaves, and if the apostle Paul preached “the whole counsel of God” (Acts 20:27) without explicitly prohibiting slavery, then no man can rightly call slavery, in principle, a sin. Neither the Old Testament or the New Testament says anything about abolishing the many-millennia long tradition of slavery passed down from Moses. This has been the justification and mindset of most Christians throughout history. The majority of the “founding fathers” of the United States had slaves. By 1860 the slave population in the United States had grown to four million. Slavery had been an American pastime for over 250 years before it was finally abolished. The social justice movement that eventually worked to end slavery was called “abolitionism”. The abolitionists of the mid 1800’s faced fierce opposition from many Christian leaders of the time. The problem was, abolitionists didn’t have much Scripture they could stand on in order to justify their anti-slavery position. There is admittedly a fair amount of support for slavery in the Bible and really no proof-texts that can be used to oppose it. The emphasis from pro-slavery defenders was always upon “a literal reading of the Bible” which they said represented the mind and will of God himself. Slave-holding, therefore, was not only justified but also moral because it was recognized as such in Scripture. Slavery’s defenders relied on emphasizing Scripture’s authority, while those in opposition to slavery, emphasized the teachings of Jesus. Pro-slavery advocates continually contrasted the conservative nature of their position (based on a literal biblical reading), to the liberal interpretation implied by those opposed to slavery. Since Christ came to fulfill and not to destroy the Law, the argument ran, he therefore sanctioned the institutions and relationships existing at the time which he did not expressly condemn. Since Roman slavery existed at that time and he said nothing against it, the logic was, Christ obviously accepted the institution of slavery. So how did Christians break free from this type of theology? Jesus said that the greatest commandment is to “love God” and to “love your neighbor as yourself” (Mark 12:28-31). Christians today argue that this is enough to warrant the abolishment of slavery. After all, it is impossible to love your neighbor and simultaneously use your strength to refuse them personal freedom. The only problem is, this isn’t a new command, it comes from the Old Testament (Leviticus 19:18). To the Jews the word “neighbor” was understood to be referring to “our people.” So then if the ancient Israelites didn’t view slaves as their neighbors then why do Christians? Christians today have come to understand that slavery is evil and sinful because it violates the greatest commandment according to Jesus: love everyone. The ethics and politics of Jesus oppose the mistreatment of anyone. That means slavery is completely off the table for Christians. The work of the Holy Spirit in the world has advanced the Kingdom of God to the degree that mankind, as a whole, no longer views slavery as moral. But we still have a ways to go. So many times throughout history Christians have tried to hold the Scriptures as a higher authority than Jesus. But God says enough is enough. Unless we think we should implement slavery again, Jesus must be our highest authority. We must let Jesus teach us how to read the Old Testament. Jesus died for all people, no matter their skin color or religion (1 John 2:2). The way of Jesus being preached and lived out over the centuries has ensured slavery’s end. As Christ’s nation expands to cover the entire earth, it should be no surprise that evils like slavery diminish. Today Christians get it, they understand that slavery is a sin. Most Christians didn’t understand that 200 years ago. It seems mind-boggling to us today that Christians back then didn’t understand that slavery is evil. How could they not understand that? But today (in America especially) war and violence are still viewed with acceptance in much the same way that slavery was viewed with acceptance 200 years ago. Today many Christians just don’t see war as something that is unacceptable. Today many Christians just don’t see that violence is immoral. War and violence are acceptable if the ends justify the means. Christians thought the same thing about slavery. According to recorded Scripture, Jesus never forbids slavery… but he does forbid violence. In the future Christians will view wars and violence as horrible mistakes in the same way we view slavery today. Today, many Christians still can’t see it, but one day they will. Two Letters to the Rev. Moses Stuart: On the Subject of Religious Liberty”, p. 30-42. “Bible Argument on Slavery” in E.N. Elliott’s “Cotton Is King”, p. 849.